Last December, I showed you how to make a table runner from the vertical axis of the quilt Flourish on the Vine. All the motifs were hand appliquéd except for the center circle, which was quilted. I left that section out, assuming it would likely be covered with the table centerpiece. But then I got to thinking: that middle circle would make a cute little quilt of its own! 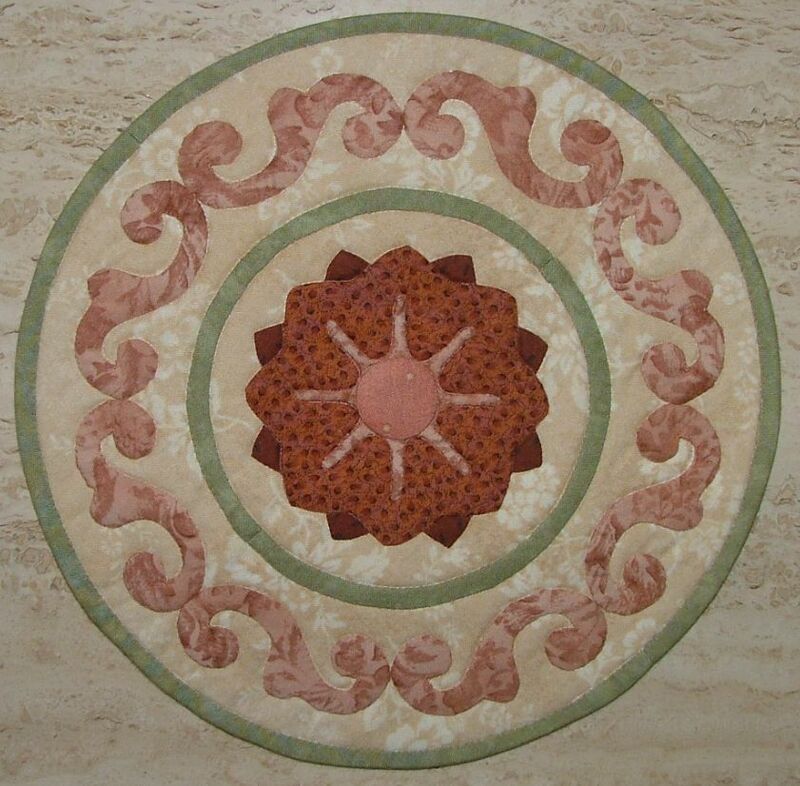 The mini-quilt measures 9″ across and would look great on an accent table or as a centerpiece. You could even quilt it with heat-resistant batting and use it as a trivet! Appliqué patches 1.2 through 1.6 and patches 1.8 and 1.8r onto the background fabric. Appliqué the inside line of the patch 1.12 circle and baste the outside line. Layer the mini-quilt as follows: 12-inch square of batting; 12-inch square of backing fabric, right side up; appliqué, right side down. Using the basting line as a guide, stitch the three layers together leaving a section unstitched for turning. Trim the background and backing fabric to a 1/4-inch seam allowance and the batting close to the stitching line. Turn right side out; press and slip stitch the opening closed. Quilt the layers together in-the-ditch. 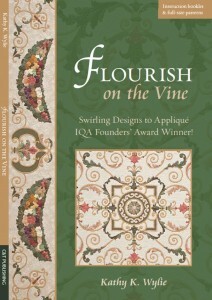 To order the Flourish on the Vine Pattern Pack for $17.95, please visit my web store or C&T Publishing.